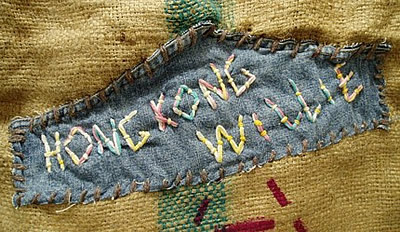 Hong Kong Williei is an artist cooperative in Tampa Florida who work with recycled materials trying to make a positive difference in this world. Thanks to everyone for all the kind comments and email. GreatGreenGoods will resume posting about this, that, and the other thing, tomorrow. We had a lot of fun during BAG WEEK, and we’ll definitely do it again!! .. but want to mention the greenest bag you can use is the one you already have. Even though we are a shopping blog, we need to remember that living a Green Life is really about buying stuff you love, and using it until you wear it out. With that said, the second best option is to use recycled materials. Thanks to Nicola from Acorn Studios who pointed out a cool tutorial to make a bag out of recycled seat belts. 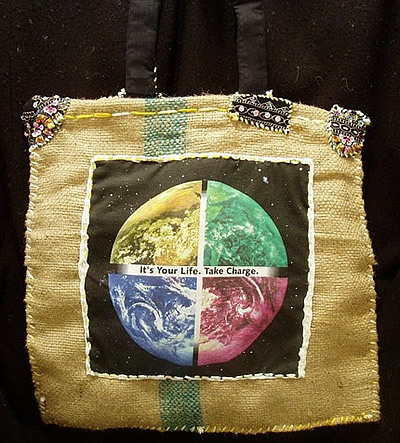 Check out this link to instructions to make your own bag out of recycled album covers. And the bag pictured above has detailedinstructions to “knit” a carryall from your recycled plastic bags. **Earth Friendly Goods is offering a special deal to GreatGreenGoods shoppers. You will recieve 25% off any purchase with voucher code 10610051500 Coupon expires April 4, 2006. ***Hip and Zen are offering a special deal to GreatGreenGoods shoppers. You will receive 5% off your entire order code if you use the promotion code BLOG. Coupon expires April 4, 2006. ****Recycled Planet Store is offering a special deal to GreatGreenGoods shoppers. 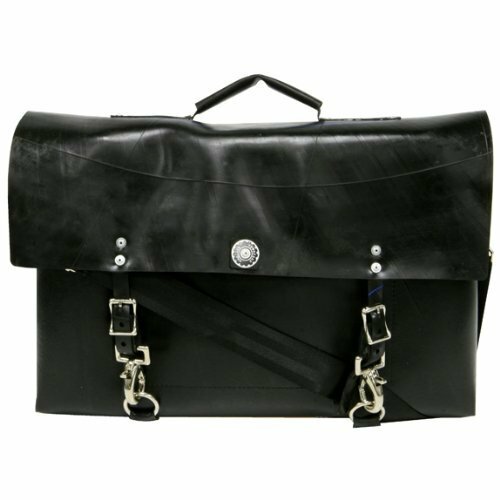 You will receive 10% off your order of any handbag. Please use the coupon number “greengoods” on checkout. Coupon Expires April 20. *****Little Earth is offering a special deal to GreatGreenGoods shoppers. You will receive 10% off your order. Please use the coupon number “GREEN ” on checkout. Coupon Expires April 20. Recycled rubber outside, recycled oxford shirt on the inside. Love the look of this classic clutch.